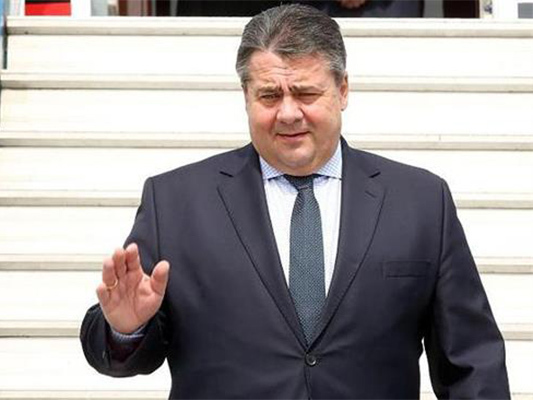 German Economy Minister Sigmar Gabriel promised on Monday to remind the United States of its commitment to reduce sanctions against Iran, as he courted business ties during a two-day trip to the Islamic Republic. Speaking at the opening of an economic forum, Gabriel said Germany wanted to “remind the United States of the commitment to get to an effective dismantling of sanctions”. Iran’s Deputy Economy Minister Mohammad Khazaei said 10 economic agreements would be signed on the sidelines of Gabriel’s visit. “I hope that this will smooth the way between both countries,” he said, as reported by Reuters and covered by Iranian media outlets. Gabriel has gone to Iran with a plane-load of industry executives. Remaining US sanctions and political concerns have so far held back a hoped-for business boom between the two countries.